The support email queue is setup from with the [System Management]. 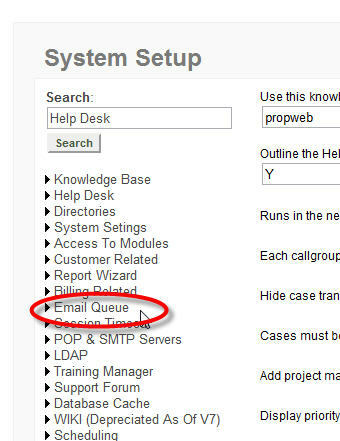 Use the [Support Email Queue Setup] link in the "System Configuration Settings" section to access the queue setup page. This page among things allows you to indicate how often you want the system to check for new emails.